Looking for the perfect birthday party activity?? Invite some amazing critters to your birthday for a party you guests will never forget! We offer awesome animal birthday parties for any age group and any party size – we bring the zoo to you! We do an hour long presentation with 15 to 17 different animals. 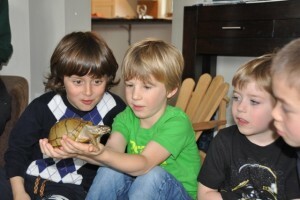 Our parties are fun, educational – a family adventure no one will forget !! 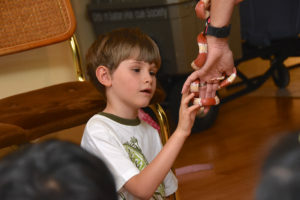 Getting a closer look at an albino Milk snake. 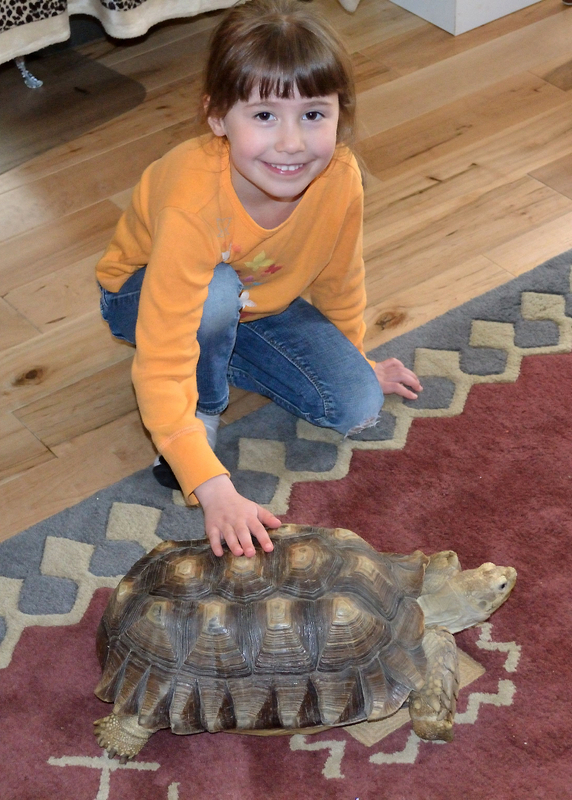 Presented by a trained animal educator, we will introduce your guests to exotic insects, reptiles, amphibians, and small mammals. We give you an opportunity for an ‘up close’ experience with various species from around the world. We have been successfully educating people of all ages for 27 years in schools, libraries, hospitals, and festivals. 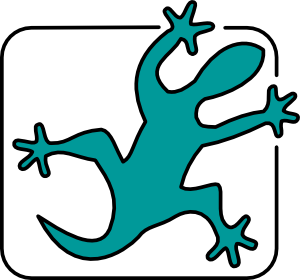 ….. ” I just wanted to take a moment to express how truly impressed we were by your team. Her teaching style was enthusiastic, engaging and informative and the kids were enthralled. …..” What a fantastic show today. The kids had such a great time as did the adults. You really put on a fantastic show for the children. Worth every penny!” … Roni B. ……” I just wanted to let you know that the party was a huge success all thanks to Urban Safari. The girls absolutely LOVED the presentation!!!!! They couldn’t stop talking about it after it was over. When parents arrived to pick up their daughters, all the girls were on the floor trying to show their parents how flexible the ‘dancing ferrets’ are. It was the funniest thing to watch. You did an outstanding presentation!!….. Michelle G.
Animals that could come to your party : Stick Bugs – Hissing Cockroaches – Tarantulas – Scorpion -Whites Tree Frog – 3 Toed Box Turtle – Spur Thigh Tortoise – Leopard Gecko – Bearded Dragon – Corn Snake – Lion head Rabbit – Ferret – Sugar Glider. We can also bring Guinea Pig, or Hairless Guinea Pig ( Skinny Pig ) if requested. Sometimes an animal isn’t ready for a party, due to shedding or other cause, so we may need to substitute a different animal. Please understand it is for the health of the animal and it is at our discretion. Please note that we are fully insured, permitted by Department of Fish & Wildlife to show these animals, and our presenters and camp leaders have had criminal records checks by the RCMP. We have years worth of positive feedback. Here is just a couple. We had the Urban Safari Rescue Society come do a birthday party for my 4 year old this last Saturday in Maple Ridge, and the girls did such a great job I wanted to write to express my appreciation! I feel like an idiot for forgetting their names, but the girls were absolutely amazing! They kept a small crowd of young children and toddlers captivated the entire time, and they were pros at dealing with interruptions and the general rowdiness that goes along with that sort of thing. Many of the parents commented to me that they were very impressed at how good your team was with the kids, and I agree- it’s not always easy to remain gracious when wrangling children, but it was clear that your team is not only experienced, but that they genuinely love both what they do and people. You far exceeded my expectations, and we are already talking about having you back next year. Thank you again- you truly made my son’s big day extra special for him. 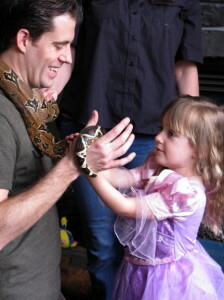 Dad and his daughter share a moment with our Boa Constrictor Big Daddy.